Nature`s moisturiser, enhancing skin and joint health. Essential for healthy joint function and mobility, hyaluronic acid occurs naturally in the body as a part of synovial fluid, which provides the liquid layer that cushions and lubricates joints. Hyaluronic acid is a structure of mucopolysaccharide composed of hydrophilic molecules of Glucuronic acid and N-acetyl glucosamine which bind water and lubricate moveable parts of the human body, especially joints and muscles. It is so called ‘nature’s moisturiser’ for its incredible moisturising properties especially when used in skin-care products. Hyaluronic acid also cushions nerves and ends of bones and may help form barriers against the spread of disease. 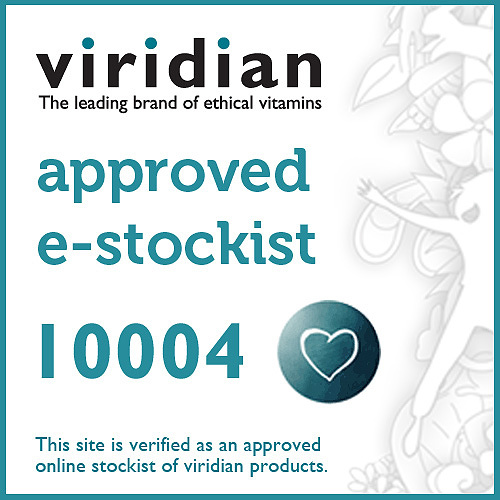 Viridian utilise a vegan form of Hyaluronic Acid produced by fermentation processes rather than an animal derived product (typically rooster combs or chicken sternum). 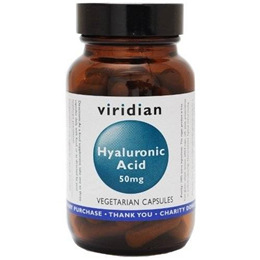 Below are reviews of Viridian Hyaluronic Acid - 90 x 50mg Vegicaps by bodykind customers. If you have tried this product we'd love to hear what you think so please leave a review. In just a few weeks my skin looks younger and the fine wrinkles I had on my face are disappearing. Very good results! I take this good quality product for my joints, my knees needed a bit of extra help and although not immediate there is less pain after 2-3 weeks. I continue to take it religiously as I am getting older. Recommended.